Originally published September 7, 2015. 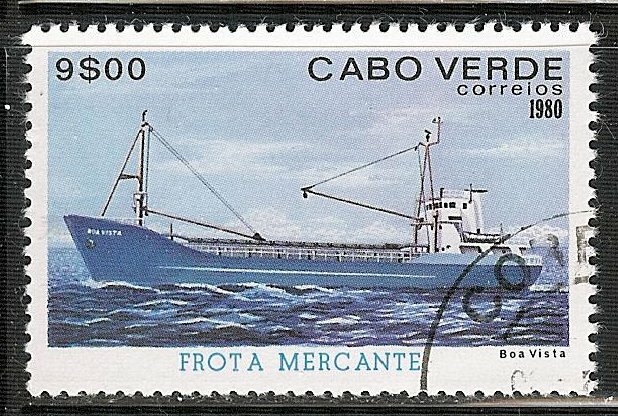 On November 30, 1980, the island nation of Cape Verde issued 5 ship themed stamps. The stamps were printed using lithography and were perforated 12.5 x 12. 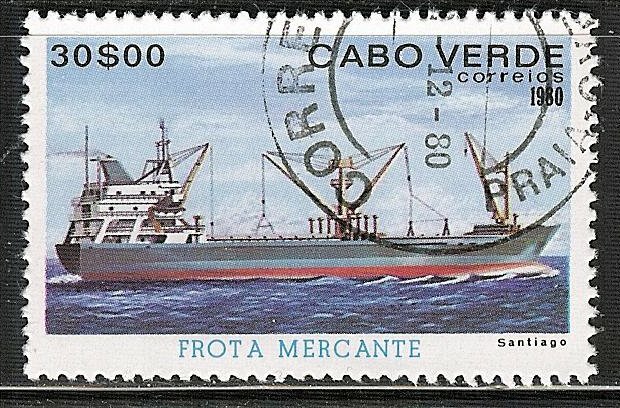 Inscribed “Flota Mercante” the stamps were issued to commemorate the Merchant Fleet serving the islands. 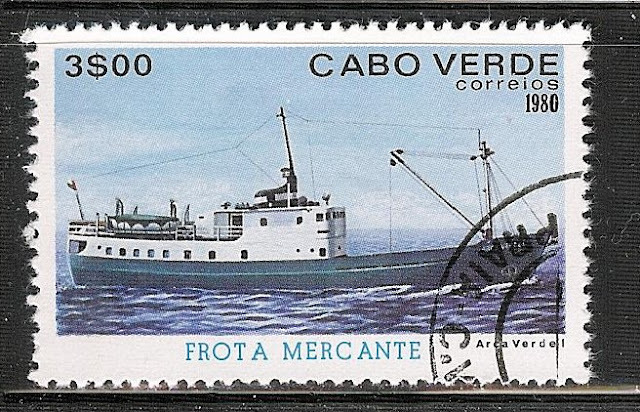 On the 3 Escudo stamp, the Arca Verde is pictured. She was built in Norway and completed in 1955 as the Herlaug II. Powered by 1, 8 cylinder BMV diesel engine producing 400 bhp and capable of carrying 150 passengers. 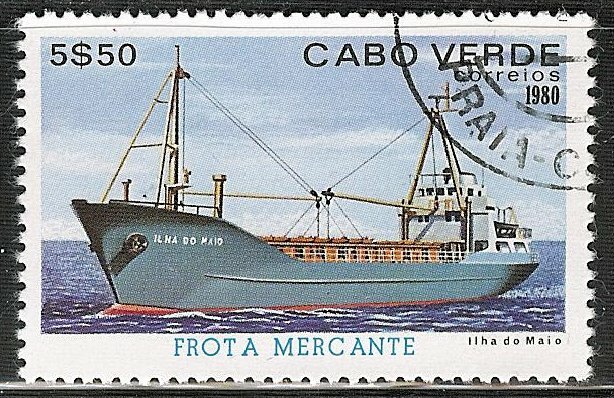 The 7.50 Escudo stamp features the freighter Ilha do Maio. Completed in 1972 she was Originally built as the JOFF for Norwegian owners. She was sold to the Companhia Nacional de Navegacao ’Acra Verde’ in 1979 and renamed the Ilha do Maio. 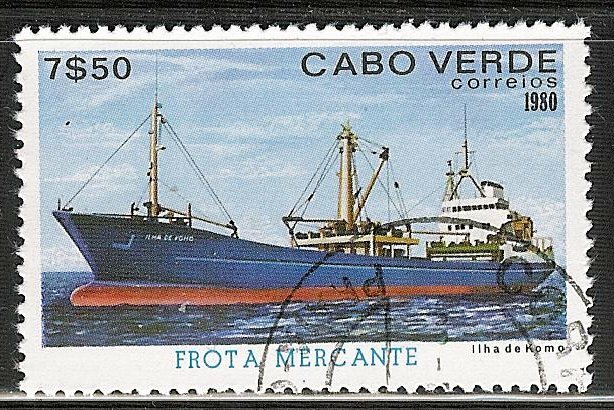 Built as an open shelter decker cargo ship the Santo Antao is featured on the 12 Escudo stamp. 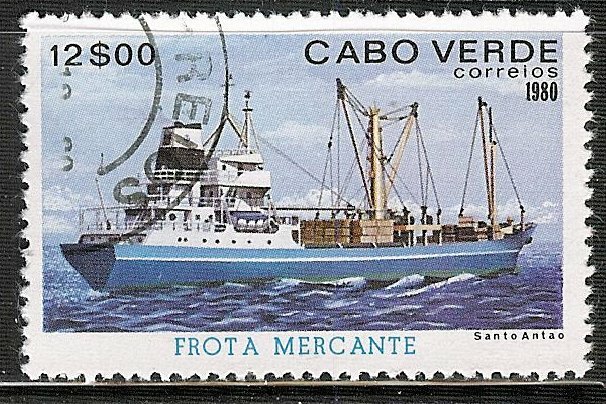 Purchased by the government of Cape Verde in 1977 from Reederei Lindinger she was renamed the Santo Antao from the Lindinger Diamond. She was designed for use in world wide tramping.